Youth, below 30 years of age group, occupy above 50% of the total population of the globe. Youth occupy 27.5% (15-29 age group-as per 'India youth policy-2014') and 10-35 age group occupy 56.3 crore in India. But, we are neglecting their voices. School Radio is promoting a platform for children and youth to create, enhance and share their voices with the world. School Radio brings out the talent of children and youth. It promotes communication, public speaking skills, and team building among them. The process enhances their abilities, presentation skills, and confidence. At present, these programmes are in Telugu, Hindi and English, and would like to include all the regional languages in future. School Radio creates a platform for students and academicians to showcase their talent in creativity, innovations, technology and find solutions and action in their respective fields of study. Aruna facilitated Production of 55 short films on sustainable agricultural practices for Society for Elimination of Rural Poverty- Community Managed Sustainable Agriculture & Digital Green. 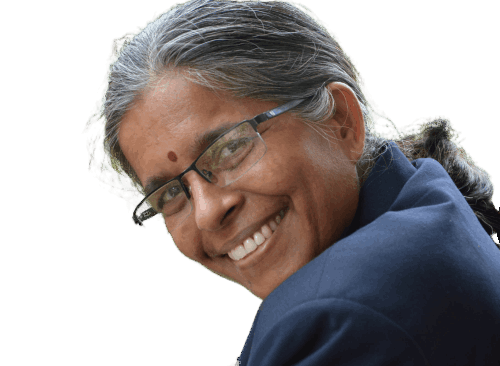 Gali Aruna received Laadli Media Award for Gender Sensitization through Web Medium - (www.vikasadhatri.org) in 2016. She was the recipient of Human Rights Champion Award instituted by Youth for Human Rights India, 2015. She received Best Performing Project Officer award from the Chief Minister Sri. N Chandrababu Naidu on International Ozone Day -2001. School Radio - School Radio is an online Radio for schools, colleges and universities. This is a unique concept developed by Digital School and supported by Vikasa Dhatri. School Radio is a tool to interact, share, communicate, network and enhance the life skills of youth and children. Digital School - Digital School is registered as a firm under Indian Partnership Act 1932, Registrar of Firms No-975, 2013 and functioning from Visakhapatnam. Digital School is into Developing Information, Education, Communication (IEC) Material, Facilitating Training Programmes, Workshops, offering Web Designing Services, Production of Print and Electronic Publications, Production of Digital films, and other allied business. Vikasa Dhatri - Vikasa Dhatri is an initiative of Digital school, offering Telugu eBooks for free download. It has developed and offered about 350 Telugu eBooks (fiction and non fiction), most of them focusing on various social issues.